Apple boasts that iOS is the most intuitive, approachable mobile operating system on the planet. However, no matter how intuitive, learning how to manage the applications on your iPhone can take some time and instruction. In addition, there are some issues that can arise which prevent you from properly removing apps you may not want anymore. Whether you need to install an app to control your home theater or just want less apps, below we address the various methods for uninstalling apps on iOS and how to troubleshoot the most common issues people have. Step 1: Unlock your iPhone 7 and and click the home button to make sure you are on the home screen. On an iPhone without a home button (iPhone X or newer), swipe up from the bottom of the screen. Step 2: Lightly tap and hold your finger on the app you want to delete. After about one second, the home screen will enter “edit” mode and the icons will begin to shake, with little X’s appearing in the upper left corner of each app. Step 3: Tap the X on the app you want to delete. Step 4: Affirm that you want to delete the app by tapping the red “Delete” button on the dialog box that pops up. The app will uninstall and disappear from your home screen. Step 5: Press the home button again to exit “edit” mode. On newer iPhones without home buttons, tap the “Done” button at the top right of the screen. As of iOS 12 and iTunes version 12.7, Apple has effectively removed all off-device app management. However, if you are still using iOS version 11 or earlier, you can use your Windows or MacOS computer to delete apps on your iOS device. Step 1: Launch iTunes version 12.6 or earlier and plug in your iOS device. Step 2: Click on the phone icon that appears next to the navigation buttons. Step 3: Click “Apps” from the menu on the left side of the window. Step 4: In the middle panel, scroll down to the app you want to remove, and click the “Remove” button next to the app. Alternatively, navigate to the app using the home screen display on the right panel of the iTunes window, select the app you want to remove and click the “X”, similar the process on the device itself. Over the years since Apple launched the iPhone (and even since the days of the iPod), third-party developers have created iTunes alternatives that allow for more fine-tuned control over iOS devices, including app management. 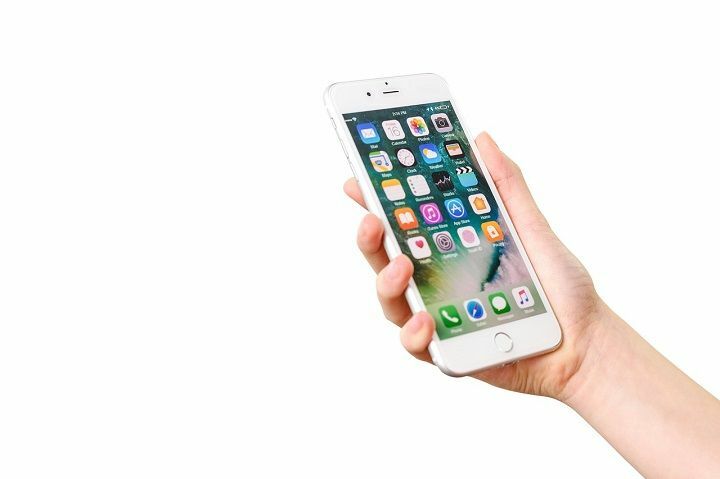 If you have an iOS device running iOS 11 or earlier, these programs provide an additional option for deleting apps on your iPhone 7. Some of the most popular apps are iFunbox (http://www.i-funbox.com/), iExplorer (https://macroplant.com/iexplorer), and iMazing (https://imazing.com/). Are you experiencing difficulty deleting apps on your iOS device? Here are some common issues and solutions for people having trouble. Most iPhones released since the iPhone 6s have a feature called 3D Touch, which creates pressure sensitivity on the iPhone display to allow new functionality based on how hard you press on the screen. Unfortunately, this very cool feature can interfere with your ability to delete apps. Specifically, if you push too hard on the app as you are attempting to put the home screen into “edit” mode, as described above, you will often inadvertently invoke an app’s widget (iOS 12) or context menu (iOS 9-12). If this happens, take care to press and hold more softly on the screen to avoid the 3D Touch feature. If you are having issues deleting a certain app, you can try deleting it through the Settings app. Step 1: Tap the Settings App and navigate to “General” -> “iPhone Storage”. Step 2: Scroll down to the app you want to delete and select it. Step 3: Select “Delete App” and confirm by selecting “Delete App” again. Step 2: For iOS 12, select “General” -> “Screen Time” -> “Content Privacy & Restrictions” -> “Content Privacy” -> “iTunes & App Store Purchases”. For iOS 11 and earlier, select “General” -> “Restrictions”. Step 3: Enter the appropriate password. Step 4: Check the app you are attempting to delete and ensure that it is set to “Allow”. Solution C: Can the App be Deleted? As you might imagine, there are some apps that are installed by default on the iPhone 7 that simply cannot be deleted by design. Examples of default apps that cannot be deleted are the App Store, Phone, Messages, Safari, Camera and Photos apps. Prior to iOS 12, other default Apple apps such as Books, Podcasts, and Home could be “removed” from the home screen and hidden from view. Since iOS 12, Apple now allows you to delete nearly every built-in app aside from the apps listed above. If you have checked all the other options above and are still experiencing issues deleting your apps, you should try restarting your device. Step 1: Press and hold the on/off button on the right side of the iPhone for approximately three (3) seconds. Step 2: When the off slider appears, slide it to turn the iPhone off. Step 3: After the iPhone powers off, turn it back on by holding the same on/off button for about one (1) second. In the event your iPhone is unresponsive when you try to power down your iPhone, you can initiate a force restart by pressing and holding the home and on/off buttons simultaneously for approximately five (5) seconds. If your iPhone does not have a home button, quickly press the volume up button, then the volume down button, then press and hold the power button for approximately seven (7) seconds until the Apple logo appears. I hope this overview and and troubleshooting guide helps. If you get through this article and still have issues deleting an app, drop a comment below and I’ll do my best to help figure out the issue.